While security professionals like to think that a “network is a network,” in truth, every network is bespoke – formed from accepted design patterns, business requirements, organic growth and designer preference. 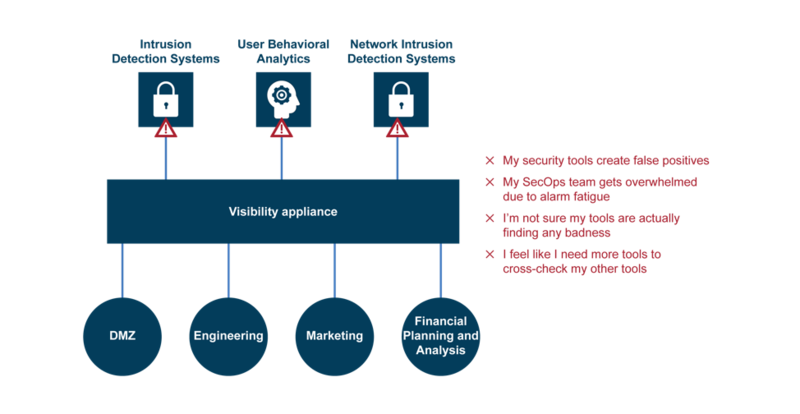 Consequently, it’s not feasible to choose security tools with the mindset of, “If I just had this network intrusion detection system (NIDS) and that user behavior analytics (UBA) tool, then I’d be secure for sure.” Why? Because it doesn’t address the unique challenges you need to solve to secure your unique network. Have you built a security infrastructure than can easily be explained and demonstrated to incoming leadership? What if the board wants an overview of how the company “does” security? You need to have not only a robust tool set, but a well-organized one. If you provide a network map that looks like a Jackson Pollock piece, you might find that you’re not going to get that new deception tool you want.